Tree surgeons in Northamptonshire, Buckinghamshire, Oxfordshire, Warwickshire or wherever you need us. Tree Profiles Ltd are the commercial and residential tree surgery experts to rely upon. 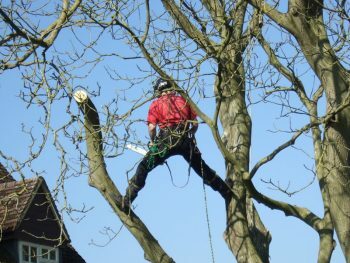 Tree Profiles Ltd are tree surgeons and arborists of over 20 years experience. Headed by principal Richard Lester we are a team of dedicated tree surgery experts who take great pride in the environmental work that we undertake. Ours is a first class service from start to finish. 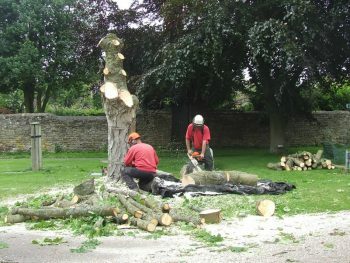 Whether you require tree felling, tree pruning, hedge trimming or stump grinding and if heavy equipment is used or not, we guarantee your site will always be left in perfect order and all debris taken away. This is why so many companies keep coming returning to us for our services, including The National Trust, The Landmark Trust, Parish Councils, Telecommunication Companies, Architects, Schools and Private Arboretums. Private landowners and individual customers are just as important and receive equal attention. 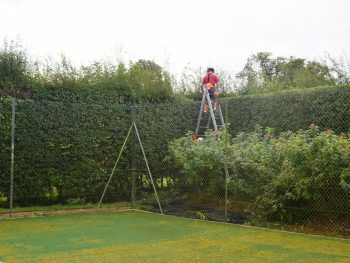 Even if you do have restricted access or a smaller garden size we still provide the same level of efficient tree surgery solutions. And regardless of the job beingcommercial or residential tree surgery we always visit you on site to provide a FREE initial no obligation quotation with constantly competitive prices. 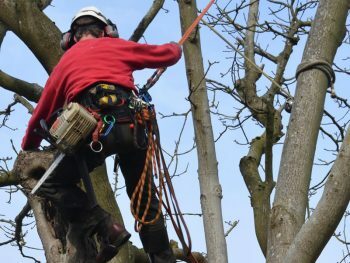 With the security of £10 million indemnity insurance behind us, Richard being a Technician Member of the Arboricultural Association (UK) and with tree surgery carried out to the exacting standards of BS3998:2010 Recommendations for Tree Work where appropriate, you will find no better local tree surgeons. Tree Profiles Ltd works primarily in Northamptonshire, Buckinghamshire, Oxfordshire and Warwickshire but will travel to wherever you need us. And our tree surgery service is backed by £10 Million Public Liability Insurance along with £1 Million Public Indemnity to safeguard even the largest of buildings or property. 10 Million Pounds Public Liability Insurance! All tree surgery carried out to British Standard 3998:2010 Recommendations whenever appropriate.